Home News Who were these 18 greentech companies presenting technological solutions at the GreenEST Summit 2018? 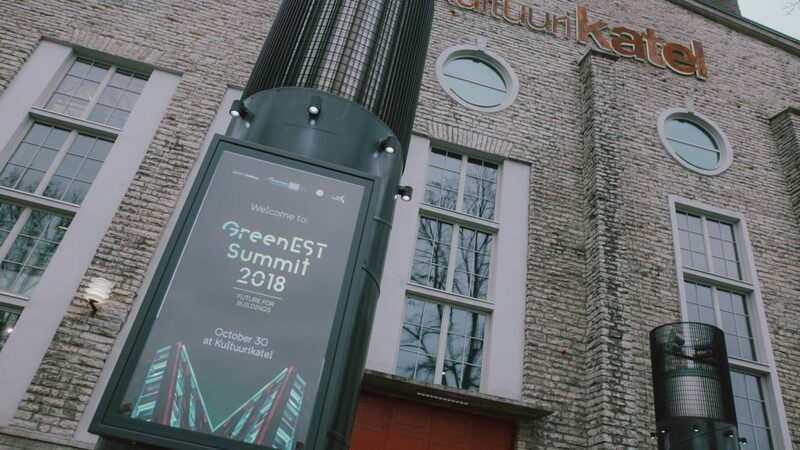 Who were these 18 greentech companies presenting technological solutions at the GreenEST Summit 2018? Our Effect4Buildings Project partners visited GreenEST Summit 2018: Future for Buildings greentech conference in Tallinn and wrote a great summary of it. Read about the 18 international greentech companies, who presented their innovative energy-efficient smart solutions at the event’s demo area. Product – SmartVent, a cloud-based solution for indoor climate surveillance. Features – Developed for mainly larger apartment buildings, commercial and public buildings. Monitors air climate and energy use in individual rooms or areas. Alarm and user feedback functions. Possible to get a quick overview/status report via the cloud-based interface and historic report for follow-up. use according to the actual energy price fluctuations. Features – Simple installation, on-line and app surveillance. An interactive LED circle on the thermostat indicates the current energy price. When glowing red the price is at its peak signaling that might be a good idea to shut down other energy consuming devices in the home. Product – Smart heat recovery ventilation unit. Features – Monitors and controls the indoor climate. Temperature, moisture, CO2, ventilation etc and adjusts according to needs and set parameters. Also goes into low-consumption mode when there is no one in the room and automatically starts cooling during summer or increases the ventilation when someone is using the bathroom. Can be installed in old and new apartment buildings or offices, hotels, etc. Maintenance need is supervised via on-line interface and manual maintenance needed twice a year normally. Product – Information system for real estate management. Features – Cloud-based software intended for large real estate owners like shopping gallerias, large buildings, offices and others. Enables collection, analysis and storage of energy use data. Modules for maintenance and statistics. Features – A system for resource management of meeting rooms including surveillance of room climate (temperature, noise, oxygen and more) and adjustments to fit current use. The concept includes everything from booking system to detection of occupancy in the room and adjustments (e.g. increased ventilation) accordingly. Can be connected to all standard on-line booking systems. Product – 2-in-1 roof solution with integrated photovoltaic solar panels. Features – Suitable for new buildings like private homes or public buildings or for complete roof renovations. While the solar panels are integrated the installation is fast and more economical – in comparison with separate roof and solar panel installation. Looks like a standard roof. Can be connected to the grid and surplus energy can be distributed to the grid during sun intensive periods. Estimated life-time 50 years. Product – Remote reading systems for water meters in apartment buildings. Features – Collects data from sensors, e g temperature, humidity, CO2 in the room. Supervision of water, heat, gas, electricity, etc. Accessing of all data via one single gateway and function for sensor control. Product – Off-grid energy supply solution for remote buildings. Features – Consists of free-standing or roof mounted solar panels, battery pack and a diesel generator. The solar panels are automatically charging the battery pack for energy use during dark hours. Diesel generated energy used when the battery pack runs low. Installation time around two days. Special attention has been taken to reduced sound level. Product – Itugraf, radiant heating and cooling panel. Features – Ceiling-mounted panels, heated by warm or cooled by cold water. Low intensity infrared waves distribute the heat or the cooled air. Graphite filling inside the panels ensures efficient thermal conductivity. Suitable for installation in larger buildings; offices, hotels, public buildings and industries and warehouses. Product – Endura Delta, a demand-controlled heat recovery unit. Features – Collects data from sensors, e g temperature, humidity, CO2 in the rooms and adapts the ventilation accordingly. Heat from extracted air will be transmitted to the supply air. Equipped with an automatic summer bypass were the heated air doesn’t pass through the heat exchanger thus achieving a cooling effect. Also equipped with a frost protection mechanism. Can be monitored and controlled via an app. Suitable for family homes, summer. 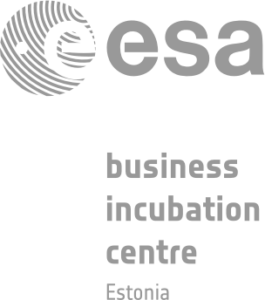 Product – EE+ Hands on adaptive regulation for waterborne local and district heating. Features – A digital platform for energy- and costeffective management, operation and maintenance. Indoor climate is supervised via wireless sensors with value signals that are reported to smart software. Correct operating temperature is calculated maintaining the temperature at a desired level. Product – Automated indoor climate control connected to roof windows or flat windows. Product – Passive houses in two versions; energy use 15 kWh/square meter or 30 kWh/square meter annually. Features – Up to five stories possible. The building elements are pre-manufactured for quick assembly on building site. Standard models and personalized designs possible as well as public buildings like kindergartens, schools or offices. Product – Insulation products made of agricultural biomass (from annual plants) for eco buildings. Features – Different kinds of fiber board for all insulation purposes. Produced in a hydrothermal process with hot pressing for low energy use during process. Max width 120 mm. Gives several positive indoor climate effects, e. g. effective insulating against noises. Product – Water mixers and showers with reduced warm water use. Features – Mixers with “cold start” with handle in front position enables short rinses without any use of warm water. Showers with special jet design reduces the water flow with maintained shower comfort. What is EFFECT4Buildings and why is Tehnopol part of it together with 9 other partners from all over Europe? The goal of EFFECT4buildings is to increase the number of energy efficiency measures implemented in buildings in the Baltic Sea Region. The project will connect public property owners with suppliers of solutions to reach a larger market and more efficient use in the Baltic Sea Region. Financial tools and methods are developed through various real cases among partners participating in the project. The result will be a toolbox with financial methods that can improve profitability, facilitate funding and reduce the risk of energy investment in real estate. Tallinn Science Park Tehnopol represents good knowledge on technological smart city and smart house solutions. We possess the knowledge on how to involve and support SME-s.